Are you looking for something more challenging than just running? If so you could become an Icelandic Land Wight (Landvættur) by completing four challenges in four sports in four quarters of the country. The Land Wights are the four protectors of Iceland and are displayed in the coat of arms of Iceland and also decorate the front of the Icelandic krona coins. and the rock giant is the protector of south-eastern Iceland. The Land Wight challenge began in 2013 and in April 2015 41 person has completed the challenge. Where: Ísafjörður, in the West Fjords. To do: 50 km ski marathon (classic technique). Where: Reykjanes in south Iceland. To do: 60 km bicycle race from the town of Hafnarfjörður into the mountains to the Blue Lagoon. Where: Urriðavatn, close to Egilsstaðir in east Iceland. To do: 2.5 km swim in the lake. Where: Ásbyrgi in north Iceland. 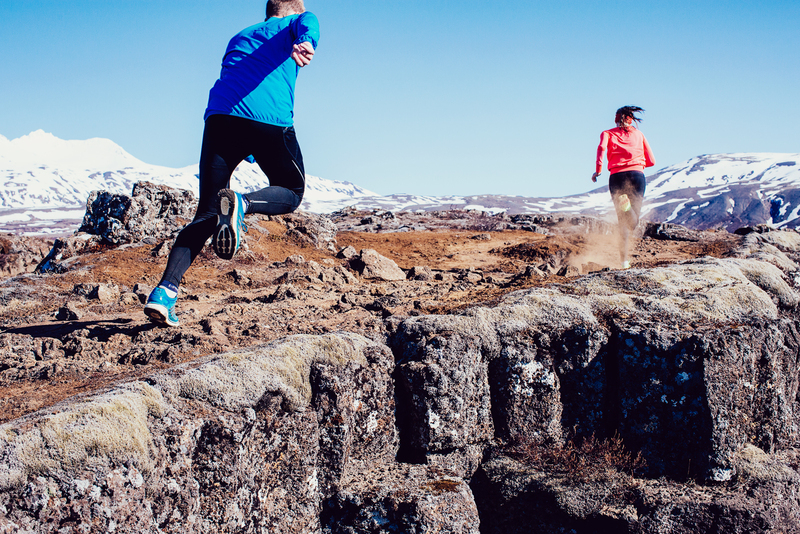 To do: 32.7 km trail run from the waterfall Dettifoss to Ásbyrgi canyon. Next Winter is finally over. Summer is here !